Some have called it THE haircut of 2016. Others call it a wavy lob, or bob, or the new shag. Call it what you will, but this wavy hairstyle is all anyone in Hollywood is doing to their hair. Gone are the salt-spray beachy waves of Victoria’s Secret models. They have been replaced by the NEW wave. First of all, there are several celeb hairstylists that are doing this style well. A couple stylists who come to mind are Jen Atkin (responsible for Khloe Kardashian and Chrissy Teigen’s perfect lobs), Riawna Capri (the genius behind Jennifer Lawrence and Julianne Hough’s wavvy tresses), anyone at Ramirez Tran (just wavy hair gods in general and Sophia Bush’s go-to), but the tutorial we’re going to go with today comes from celeb stylist Kristen Ess (Lucy Hale and Lauren Conrad’s hair goddess). never not trying to #cleartheshoulders ¯\_(ツ)_/¯ how did this lil hashtag project end up w over 6k posts?! kills me in the greatest way. Here’s how to do it (Note: This tutorial works on ANY length hair). 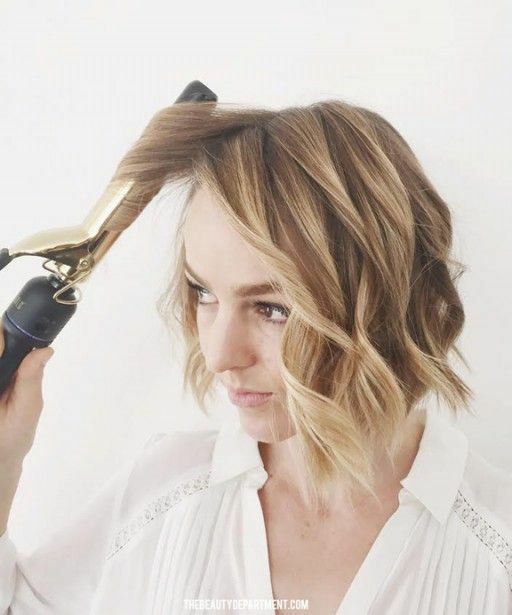 Step 1: Curl your whole head using a 1-inch barrel curling iron. Curl away from your face and leave the ends of the hair un-touched. If you need a refresher on this nuevo-curling technique, watch this video. Step 2: Take your flat iron and lightly tap the hair starting one-inch from the root towards the end of the strand. this morning on @thebeautydept I’m revealing my major key to those perfectly relaxed waves I posted a couple days ago. Step 3: Finish it off with a pomade and your hairspray of choice, or check out the full tutorial for Kristen’s suggestions. 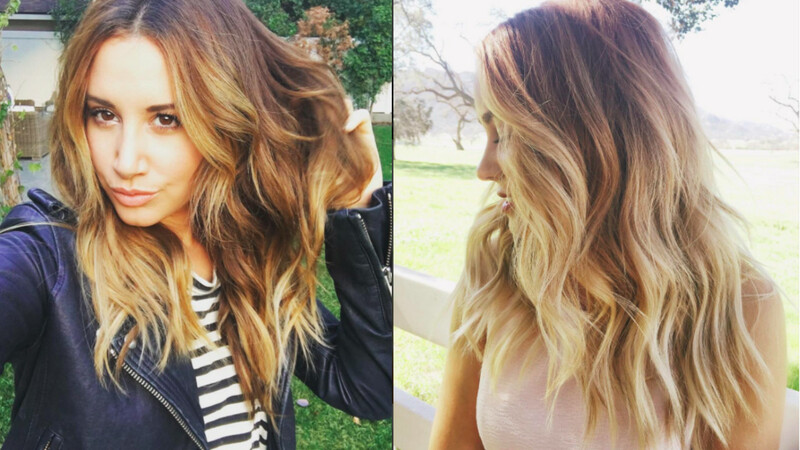 And now you have insta-worthy waves!